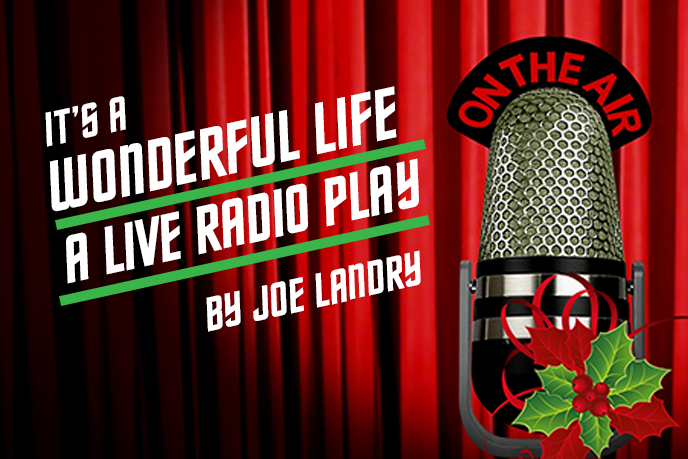 Dec 14 & 15 - 7:30 p.m.
Dec 16 - 2:00 p.m.
It’s a Wonderful Life: A Live Radio Play is based on the classic holiday movie with a clever twist thrown in: the story is staged as a live radio broadcast. This unique production is lead by an ensemble that works seamlessly to bring a few dozen characters to life. It’s a Wonderful Life is about the life of George Bailey, a generous and well-meaning man who has become too downcast and tired to continue living. It will take help from a lovable angel to show George what life would be like if he wasn’t born for George to have a change of heart and understand the true spirit of the holidays.